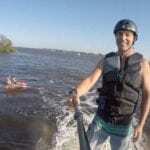 Let’s fly on the Flyboard! 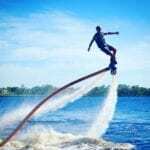 Have you ever dreamed of flying like Iron Man or wanted to be able to swim like a dolphin? Well now you can achieve your ultimate dreams of flight in one extreme experience! With our qualified instructors, you will be able to fly in the air after a few minutes! 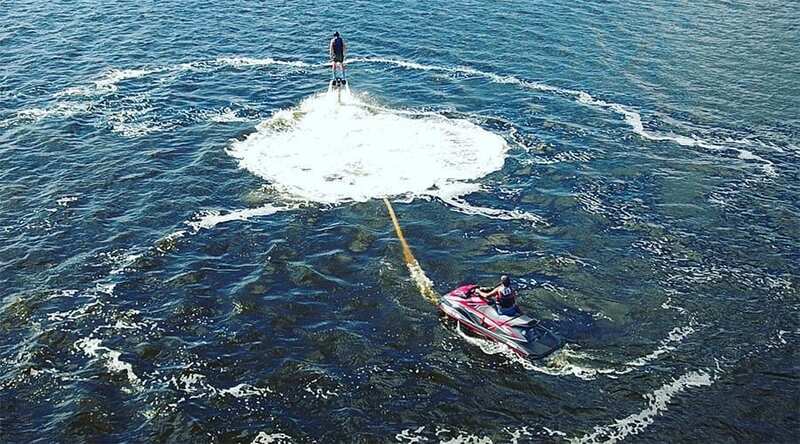 The Flyboard is the newest watersport! It is a hydrojet accessory that attaches to a PWC (Personal Watercraft) which gives the Flyboard propulsion through air and water. 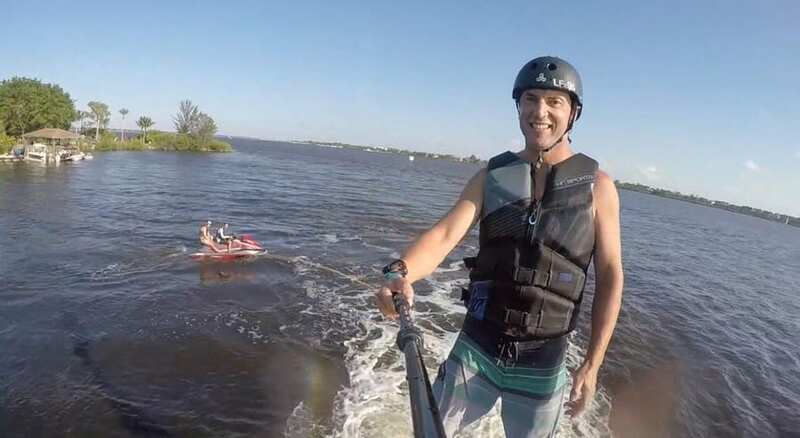 We can assure you that the Flyboard is extremely SAFE. 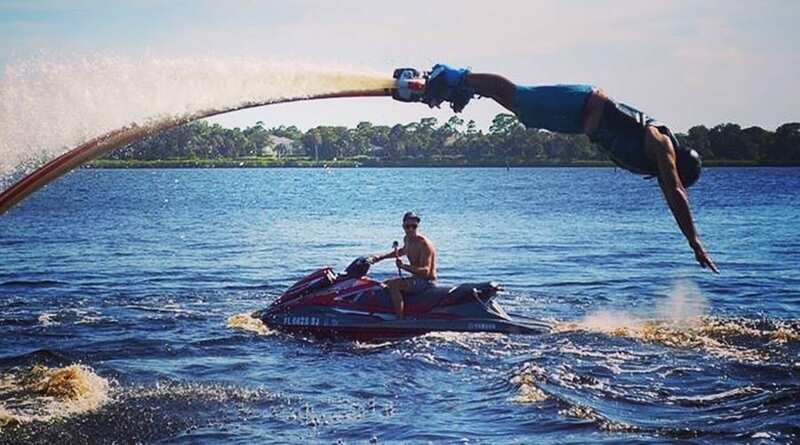 Learning to operate the Flyboard is much easier than you might think. Many people ask us how hard is it to fly. 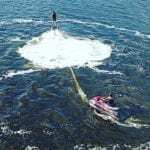 When given proper instruction and the student can follow those instructions, almost anyone will start flying the Flyboard during their first 5 minutes in the water. After only 20 minutes in the water you could easily have basic control of your movements. Some people will have a natural ability and a faster learning curve, but almost anyone will have a lot of fun during their first ride and it only gets better after each ride. Most people have found that they are twice as good on their second ride. In order to fly, the pilot MUST be 13 years-old AND weigh at least 100 lbs. 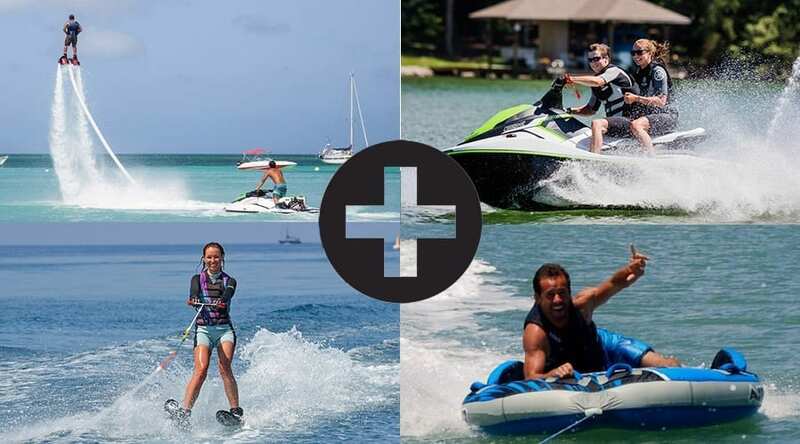 The captain has the authority for the jet ski and flyboard, and any changes or cancellations of trips will be for the sole purpose of ensuring safety.